← You have three months … save a day to visit Penn State! Class of 2017 – Summer Session and LEAP are less than a week away! First-year students enrolled in the summer session will arrive on campus soon, so we asked one of the LEAP Mentors, Monica Bacican, to fill you in on what to expect. Monica is from Bucks County, PA and will be a junior next year at Penn State. She is majoring in Biobehavioral Health, hopes to pursue a career in Physical Therapy or anything health-related, and is a member of Gamma Phi Beta sorority. She was both a LEAPer and a LEAP mentor and would definitely recommend summer session to anyone! Students travel from miles away, even overseas, to be a part of the Penn State University’s unique Learning Edge Academic Program (LEAP). This program is the perfect way to transition incoming Penn State freshmen from high school to a University of over 40,000 students – both academically and socially. The LEAP program allows students to take two courses in the summer with 24 other freshmen. LEAP creates an ideal environment for new students who are looking to get their first 6 college credits under their belt. One of the benefits LEAP provides is the connections students can and will make in their classes since they are made up of the same group of students, making it more feasible to form study groups, meet people in their major, and form long-lasting friendships. Another advantage that LEAP offers is that the professors understand that most LEAP students are coming right out of high school. These professors have been trained to work with first-year students in order to get them fully transitioned and prepared for a much busier fall semester. They have also been taught how to deal with students who may be feeling homesick or are falling behind academically. In addition to helpful professors, LEAP assigns every first-year student to an upper class student mentor. These mentors go through a competitive application and interviewing process and hours of extensive training to help guide and transition new students. Mentors plan a variety of fun programs throughout the summer for their LEAPers to aid their integration into the Penn State community. Programs can be anything from pool parties, campus tours, study sessions, outdoor picnics, sports activities, and many more. Mentors are also people the new students can talk to if they’re having trouble in their classes, struggling with meeting new people, or having a hard time adjusting to their new environment. I myself was a LEAPer 2 years ago, and I am going to be a LEAP mentor for my second year; so it’s safe to say, I know all about summer session. I am going to be a junior next year, and some of my fondest memories and closest friends were made during summer session with the help of LEAP. Learn my way around campus, which actually felt extremely small once I was here for a couple of days. By the time fall came, I knew where all of my classes were and I wasn’t that kid carrying around a map. Meet SO many new friends. One of my biggest fears was that I would not find a group of people I could connect with when I arrived to campus. During the summer, everyone is in the same boat and you’re meeting new people everywhere you go. As you can tell, LEAP is an amazing program for first year students who are interested in getting a head-start at meeting new people, getting a couple of credits out of the way, discovering their way around campus, and overall transitioning themselves academically and socially for the fall semester! 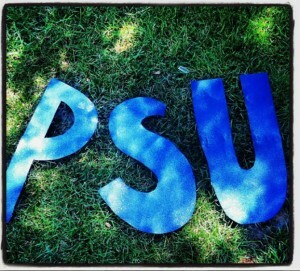 This entry was posted in Admitted Students and tagged LEAP, Penn State, PSU, summer session, uaoblogs. Bookmark the permalink.